fostering its future through new works, artists, and audiences. Traditional Hawaiian slack key music recognized and received worldwide as an exquisite musical artform equally at home on the beach at sunset as it is in the finest of musical performance theaters. Recordings of traditional slack key preserved and available to the public. 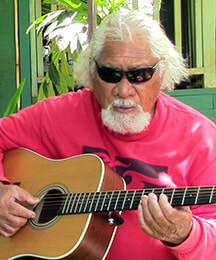 Transformative slack key music performances throught the world. Traditional slack key music available in every healing center, hospital, and hospice around the world recognizing the healing power of this music. Slack Key Center facility for performance, presentation, artist-in-residence programs and museum/library. Traditional Hawaiian slack key music shared and taught to continue the tradition. Questions? Click Here to Email SKMC!